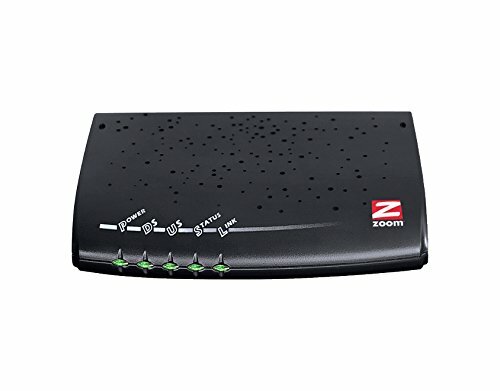 Your standard budget modem (although not quite a budget price), the ZoomTelephonics 531H modem is a popular choice for internet speeds under 25mbps. With max modem speeds of 172mbps, it gets the job done. Note: regardless of the brand name, this device does NOT have a telephone jack. You can expect this device to last you roughly 2 years (based on common reviews) and requires a separate router to get WiFi; we recommend a budget router.